With President Trump’s nomination of Brett Kavanaugh to the Supreme Court, all eyes are now on the Senate, where a fierce confirmation battle awaits. A sign of what lies ahead came from Senate Minority Leader Chuck Schumer. “I will oppose Judge Kavanaugh’s nomination with everything I have, and I hope a bipartisan majority will do the same. The stakes are simply too high for anything less,” Schumer said in a statement. Senate Majority Leader Mitch McConnell has said the Senate will vote on Trump's nominee to succeed Justice Anthony Kennedy this fall ahead of the midterm elections. The Senate needs just a simple majority -- or 51 votes -- to confirm Supreme Court nominees. Judge Brett Kavanaugh speaks after President Donald J. Trump announced him his nominee to replace retiring Supreme Court Justice Anthony Kennedy, in Washington, July 9, 2018. “I look forward to meeting with Judge Kavanaugh and to the Senate’s fair consideration of his nomination, beginning with the work of Chairman Grassley and the Judiciary Committee. This is an opportunity for Senators to put partisanship aside and consider his legal qualifications with the fairness, respect, and seriousness that a Supreme Court nomination ought to command,” McConnell said in a statement Monday. He’s expected to meet with Kavanaugh on Tuesday. Republicans hold a razor-thin majority, and given GOP Sen. John McCain’s prolonged absence, Kavanaugh’s confirmation is anything but a slam dunk. McCain, weighing in from Arizona as he continues his battle with brain cancer, hailed Kavanaugh's impeccable credentials in a statement on Monday. 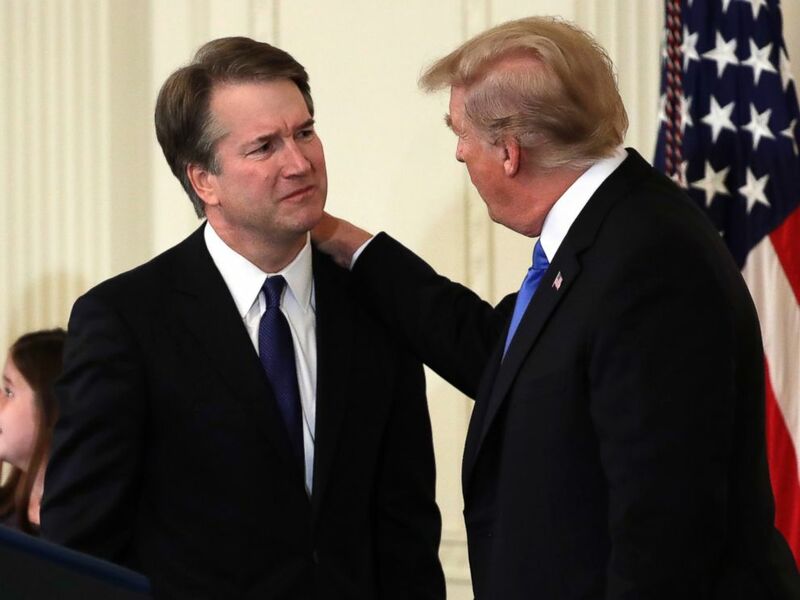 “In selecting Judge Brett Kavanaugh to fill the vacancy left by Justice Kennedy, President Trump has chosen a nominee with impeccable credentials and a strong record of upholding the Constitution. Over the course of Judge Kavanaugh's impressive legal career, he has built a reputation as a fair, independent, and mainstream judge who has earned widespread respect from his peers. One of the Senate's highest constitutional responsibilities is to provide advice and consent on nominations to the Supreme Court, and I look forward to the Senate fulfilling this critical duty through a fair and thorough confirmation process," McCain said. Several Democrats have already announced they will oppose Kavanaugh’s nomination citing concerns about his commitment to protecting health care laws and abortion rights given Trump’s repeated promises to overturn Roe v. Wade. President Donald Trump announces Brett Kavanaugh as his Supreme Court nominee, in the East Room of the White House, Monday, July 9, 2018, in Washington. But while most Democrats have announced their opposition to Trump’s nominee, there are a handful of moderate Democrats who could buck their party and deliver another win for Trump. Three vulnerable red-state Democratic senators will be ones to watch in the weeks ahead. Sens. Heidi Heitkamp of North Dakota, Joe Manchin of West Virginia, and Joe Donnelly of Indiana are up for re-election this year in states Trump handily won in the 2016 presidential election. They voted with Republicans last time around to confirm Supreme Court Justice Neil Gorsuch in 2017. “As the Senator from West Virginia, I have a constitutional obligation to advise and consent on a nominee to fill Supreme Court vacancies and I take that responsibility seriously. Just as I did when Merrick Garland and Neil Gorsuch were nominated, I will evaluate Judge Kavanaugh’s record, legal qualifications, judicial philosophy and particularly, his views on healthcare,” Manchin, D-W.Va., said in a statement on Monday. “As I have always said, I believe the Senate should hold committee hearings; Senators should meet with him, we should debate his qualifications on the Senate floor and cast whatever vote we believe he deserves. I look forward to meeting with Judge Kavanaugh, examining his rulings and making a determination of whether to provide my consent,” Manchin said. Donnelly mirrored Manchin’s statement and said he will carefully review and consider Kavanaugh’s record and qualifications. “As I have said, part of my job as Senator includes thoroughly considering judicial nominations, including to the Supreme Court. I will take the same approach as I have previously for a Supreme Court vacancy. Following the president’s announcement, I will carefully review and consider the record and qualifications of Judge Brett Kavanaugh,” Donnelly said. On the Republican side, it comes down to these two moderate women: Lisa Murkowski of Alaska and Susan Collins of Maine. But they do have a history with Kavanaugh. In 2006, they both voted in favor of Kavanaugh to be United States Circuit Judge for the District of Columbia Circuit. They both also voted in favor of Gorsuch in 2017. Both were invited to the White House on Monday to participate in Trump’s announcement, but they both declined the invitation. “Judge Kavanaugh has impressive credentials and extensive experience, having served more than a decade on the D.C. Circuit Court of Appeals,” Collins said in a statement. 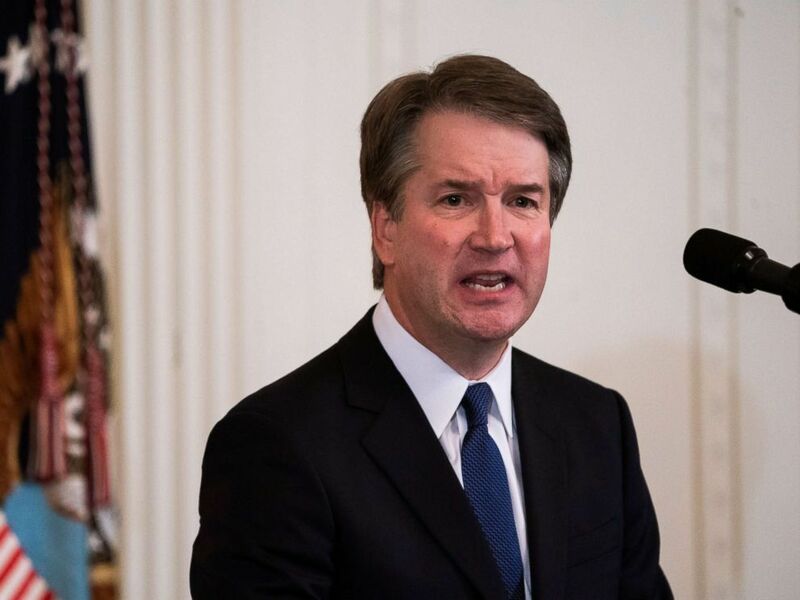 “I will conduct a careful, thorough vetting of the President’s nominee to the Supreme Court, as I have done with the five previous Supreme Court Justices whom I have considered. I look forward to Judge Kavanaugh’s public hearing before the Senate Judiciary Committee and to questioning him in a meeting in my office,” Collins said. As for Murkowski, she says she’s looking forward to sitting down for a personal meeting with Kavanaugh. “I intend to review Judge Kavanaugh’s decisions on the bench and writings off the bench, and pay careful attention to his responses to questions posed by my colleagues on the Senate Judiciary Committee. The American Bar Association’s Standing Committee on the Judiciary will also review Judge Kavanaugh’s qualifications prior to these hearings and issue a rating. I intend to carefully consider that rating, the information obtained through personal meetings, my own review of Judge Kavanaugh’s qualifications and record, and the views of Alaskans in determining whether or not to support him. My standard for reviewing Supreme Court nominees remains rigorous and exacting,” Murkowski said in a statement.